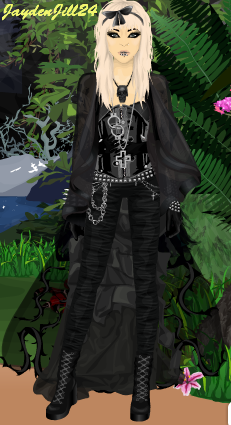 During my travels on stardoll today (i'm always looking for outfits for u guys! ;]) I found an awesome goth outfit by JaydenJill24! And remember, 100th follower wins LE and 100 stardollars!